A graduate of Eastern Michigan University, Scavone began writing when he was around the same age as the protagonists in his book. He was inspired to write the story after a friend of his came out as trans, and said that he wants to show other people that they, too, can be happy in their own skin. That’s what the plot for “A Girl Named Adam” drives home for its readers. It follows the story of two fourth grade best friends named Adam and Annie as they get ready to go shopping for the new school year. Annie chooses a pretty purple dress to wear on the first day and Adam does, too. 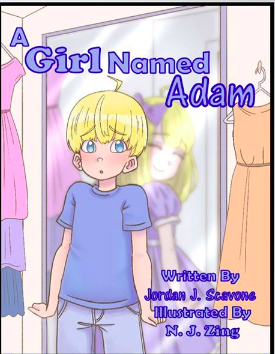 “When Adam starts wearing dresses and changes his name to Addie as the story progresses, it puts his friendship with Annie to the test,” Scavone said. Without spoiling the story, one of the most notable takeaways from “A Girl Named Adam” is how it’s common for LGBTQ people to have to deal with not just the one person (or people) in their life who won’t accept them in the new place in life that they’re in, but also with the aggressively transphobic or homophobic bully that seeks out confrontation. While the story is children’s fiction, it’s definitely relatable to older members of the community. 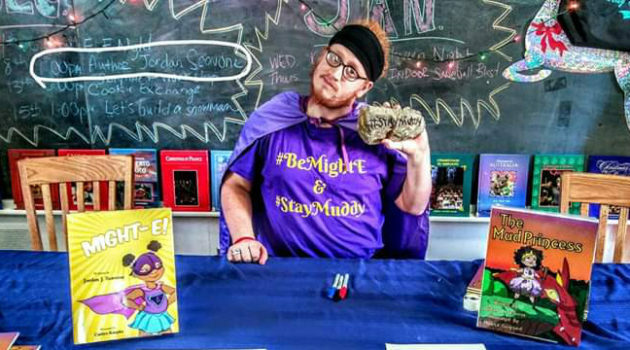 Scavone says that while his story is intended for a younger audience, most well-made children’s books have a lot of content that adults can benefit from. Find “A Girl Named Adam” and more of Scavone’s work on his Facebook page.